Minimum deposit of $100.00 is required at opening. Minimum deposit of $30.00 is required at opening for minor/non-profit organizations. Interest is compounded quarterly and credited to the account on the last day of the quarter. Interest begins to accrue on the business day you deposit any non-cash item and accumulates on the account's daily balance. 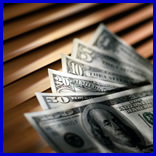 Click here for current interest rates on savings accounts and certificates. Click here for more information on this account. Transfers from a Statement Savings Account to another account of yours or to third parties by preauthorized, automatic, computer or telephone transfers are limited to 6 per month with no transfers by check, debit card or similar order to third parties. Minimum deposit of $10.00 required at opening. The Club Year will begin November 1 and will end with the annual maturity distribution of checks no later than October 31 of each calendar year. This account will not automatically renew at maturity; the account balance will be distributed in full at the close of the club year, and the account will remain open for 60 days to allow account holders to deposit in the same account the following year. After January 1, new accounts will be issued for all Club accounts opened. Interest rates may change at the discretion of Chester National Bank. Withdrawal from this account is not permitted. Minimum deposit of $2,500.00 is required at opening. Interest is compounded monthly and credited to the account on the statement cycle date. Interest rates are tiered and may change at the discretion of Chester National Bank. Transfers from a money market account to another account of yours or to third parties by means of a preauthorized, automatic, telephone, or computer or by check, draft or similar order are limited to 6 per statement cycle. Accountholders must maintain a minimum balance of $500.00 in the account each day to avoid a minimum balance fee of $15.00.